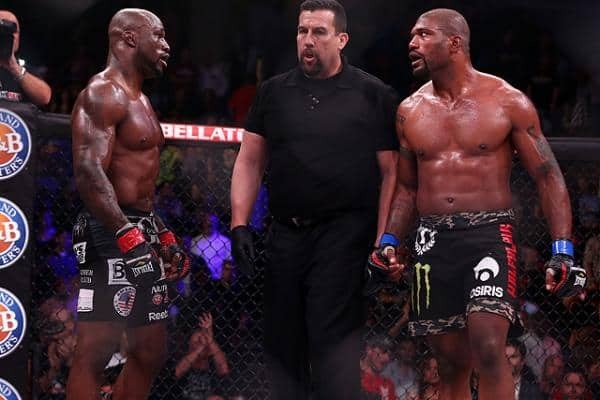 It’s no secret that former UFC light heavyweight champ Quinton ‘Rampage’ Jackson doesn’t want to cut down to 205 pounds anymore heading into his Bellator 175 showdown with longtime rival Muhammed ‘King Mo’ Lawal on March 31, and apparently that’s lead to some confusion as to just what weight the rematch will be contested at. “I was told the fight was at catchweight,” Jackson said. 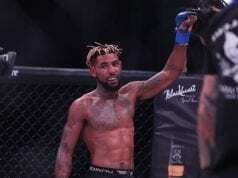 Jackson had plenty to say in response in classic fashion, poking fun at previous opponent Lawal’s girlfriend before citing a thyroid problem that has him unable to make 205. “You guys, we can tell weight don’t matter to ‘King Mo.’ Look at his girlfriend,” Jackson said at one point. “We can tell he don’t give a f*ck about weight. Listen, ‘King Mo’ wants to talk about my weight and he thinks that hurts my feelings and stuff like that. It ain’t no secret, I’m older now. I’m an older fighter and I have a thyroid problem that is hard for me. I’m on medication, but what I did was, I addressed the problem. I went and saw a specialist and I talked to my coaches, and we decided to go to heavyweight and lift weights, get stronger, get bigger. “So, ‘King Mo’ can fat shame and that stuff all he wants. I didn’t ask to fight ‘King Mo.’ I wanted to fight at heavyweight because I’m a bigger guy now. I left ‘King Mo’ in the past. 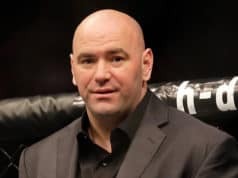 I figured, yeah, I wanted to knock him out, I wanted the rematch, but I feel like fighting ‘King Mo’ again ain’t going to be nothing but a wrestling match, and why do I want to do that when I’m a striker? I like putting on exciting fights. I like being exciting.